Alexandra Elene Maclean Denny was born in London in 1947. She loved music and learned to play both piano and guitar as well as sing in the school choir. She left school with the intention of becoming a nurse and whilst training became a popular act on the London folk club scene of the early 60s. Influenced by traditional folk music she also included songs by contemporary folk artists such as Bob Dylan and Tom Paxton. As her popularity grew she began to write her own songs and eventually left college to pursue a singing career. At first she worked solo and signed with Saga Records in 1967, there she made albums with Alex Campbell and Johnny Silvo. Keen to stretch herself as a vocalist, she sang with The Strawbs whilst continuing to record a solo album, 'Sandy Denny'. Sandy eventually left the Srawbs in 1968 to join Fairport Convention as a replacement for Judy Dyble. They made three albums with Sandy as the lead singer in 1969), (What We Did On Our Holidays, Unhalfbricking, and Liege & Lief). Sandy’s distinctive vocals (similar to Judith Durham) combined with the rock folk arrangements meant Fairport Convention became the forefront of British folk rock movement and established them with an international reputation. She left the group in 1969 to form Fotheringay. Although the group only stayed together for a year they made one album which ranks amongst her finest works. The group consisted of Pat Donaldson (bass), Jerry Donahue (guitar), Gerry Conway (drums) and Trevor Lucas (guitar). After she left the group she returned to solo work and concentrated on writing songs. She recorded three albums, "The North Star Grassman And The Ravens" (1971), “Sandy” (1972) and 'Like An Old Fashioned Waltz' (1973). During this time Sandy worked with many well-known session musicians including Richard Thomson (guitar), Dave Swarbrick, Jerry Donahue, Sneaky Pete Kleinow (Flying Burrito Brothers), Robin and Barry Dransfield, John (Rabbit) Bundrick, Allen Toussaint, Diz Disley, Steve Winwood and Acker Bilk. In 1971, Robert Plant (Led Zeppelin) invited her to duet with him on the song "The Battle of Evermore". She also undertook different projects including appearing in Tommy. In 1974 she briefly re-joined Fairport Convention but left after a disappointing album and tour. By the late 70’s Sandy’s health was deteriorating as she battled alcoholism and addiction. Despite this and the turmoil of her private life, the singer recorded what is considered by many, her definitive album, Rendezvous which was released in 1977. 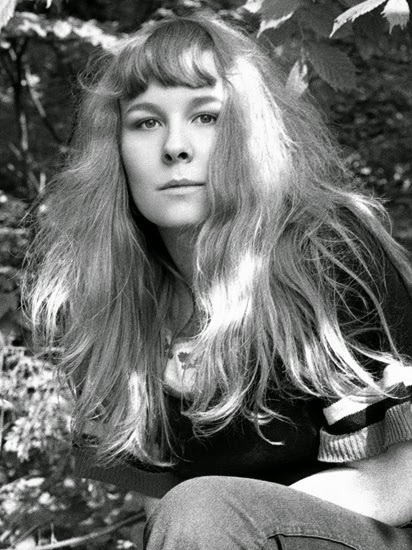 After a fall, Sandy Denny died in hospital in 1978.